The Canadian Association of Physicians for the Environment (CAPE) is a group of physicians, allied health care practitioners and citizens committed to a healthy and sustainable environment. We share many similar views as Prevent Cancer Now as we also work to promote and support policies and programs that help decrease our exposures to carcinogens and other toxins. 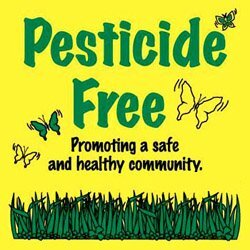 CAPE has recently been working on a lawn and garden pesticide ban in British Columbia. However, the British Columbia Special Committee on Cosmetic Pesticide Use recently advised against it as they felt the scientific evidence did not support a pesticide ban. CAPE disagrees and will continue to work with local groups to ensure British Columbians receive the protection they deserve. Additionally, CAPE is supporting a cosmetic pesticide ban in Manitoba. Public consultation and feedback are wanted by the Manitoba government up until October 1st and you can send your comments to cosmetic.pesticides@gov.mb.ca. Many studies show associations between pesticide exposure and several types of cancer. A ban in Manitoba will protect over a million Canadians from these harmful toxins. Another project CAPE has been working on is the coal-plant phase-out in Ontario. The province will be phasing out all coal-fired plants by 2014 and has created a strong and growing green energy sector to help move away from dirty coal. Ontario’s coal plants, which at their peak spewed as much air pollution as 6.2 million cars, fill our lungs with carcinogens, neurotoxins and endocrine disruptors while pumping out noxious greenhouse gasses. CAPE has been working hard to convince the Ontario Government to shut down the coal-plants before 2014 or put them on emergency stand-by until that date. Finally, CAPE was just as outraged as many health groups that the Quebec Government is continuing to support the asbestos industry. Asbestos is banned in 50 countries yet Canada is still exporting it. Many people will die from asbestos-related diseases such as lung cancer. It is important that we continue to urge the Canadian Government to ban exports of asbestos from Quebec if we want to prevent these illnesses. We need to create a healthy and toxic free environment if we wish to prevent cancer. Ultimately, our health depends upon the health of our ecosystems, and if we continue to pollute them with toxins and carcinogens, we are only hurting ourselves. However, if we stop the problem at its source we can prevent many illnesses. That is why the work we do is so important. You can learn more about CAPE and the work we do on our website, and by following us on Twitter and Facebook.